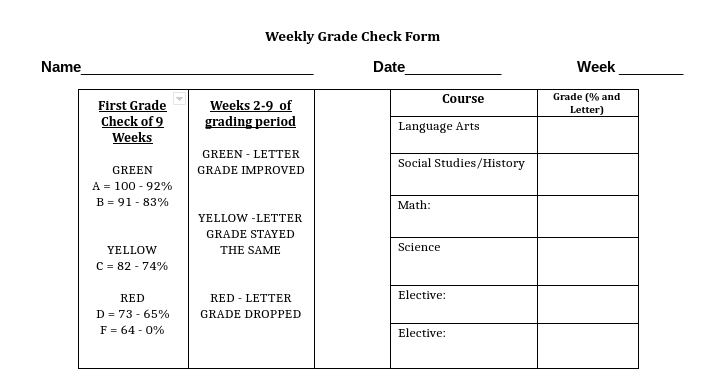 About three years ago, my student teacher and I decided to implement a weekly grade check with our class. It has since evolved. First, the “West Wing” (i.e. Intervention hallway) adopted this procedure to be completed in Core Plus More on Mondays. Last year, 36 grade check sheets were added to the back of the student agenda and it became a school-wide project. 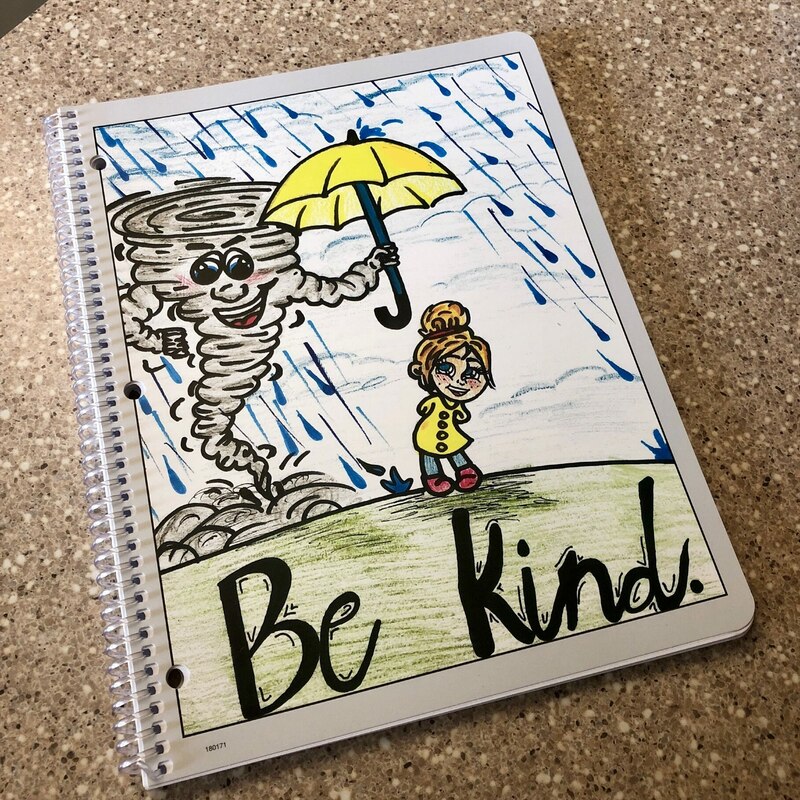 I made a few adjustments based on student and teacher feedback, and we are rolling out a new and improved version in the student agendas this year. First, let me show you the cover of the agenda, because it is ADORABLE. Designed by a student, this cover displays our “goal” for the year. Short and simple: BE KIND. Next, a shot of the entire grade sheet along with a PDF for you to download. The top half is where they login to Progress Book and record their grades (as well as color code.) This helps them visually notice progress or a downward trend. Our Building Leadership Team decided we should purposefully instruct the students on how to do this grade check the first few weeks of school. It is definitely a learning curve to this, especially for our 6th graders. In general, many students struggle with the goal setting as well. I created a Google Slide show for the staff which they can share in their Tornado Times (which is when grade checks are done.) Usually this is done on a Monday so that they have the week to work towards completing missing work. I’ll attach a PDF of the slide show as well. This process, while time-consuming, especially at the beginning of the year, has been well-received by our staff and students. Check out the links below for FREE downloads. Do you have a similar activity in your classroom or building? What goes well? What needs to improve? I’d love to hear your ideas. Leave a comment.